First Resources' 3Q18 core earnings met 28%/29% of our/consensus full-year estimates, within expectations. We make no changes to our earnings forecasts. Maintain BUY and unchanged Target Price of SGD2.00 on 17x 2018 PER, pegged at its 5-year historical mean. We like First Resources for its medium-term growth prospects and cost efficiency, with it being one of the lowest cost producers in the region. First Resources' 3Q18 core PATMI of USD39m (+22% y-o-y, +9% q-o-q) brings 9M18 core PATMI to USD103m (-1% y-o-y), at 73%/76% of our/consensus full-year estimates. 3Q18 results were stronger y-o-y largely on stronger FFB (nucleus) output (+19% y-o-y, +25% q-o-q) which more than offset weak CPO ASP achieved of USD525/t (-9% y-o-y, -7% q-o-q) and PK ASP achieved of USD354/t (-17% y-o-y, -3% q-o-q). As for downstream, which contributes to less than 10% to group EBITDA, we estimate its 3Q EBITDA margin at USD16/t (+6% y-o-y, -35% q-o-q), likely on high utilisation rate of its biodiesel and refinery plant which offsets inventory mark-to-market losses. Fuelled by a high percentage of young trees entering prime maturity, FFB nucleus output growth rate remained strong. 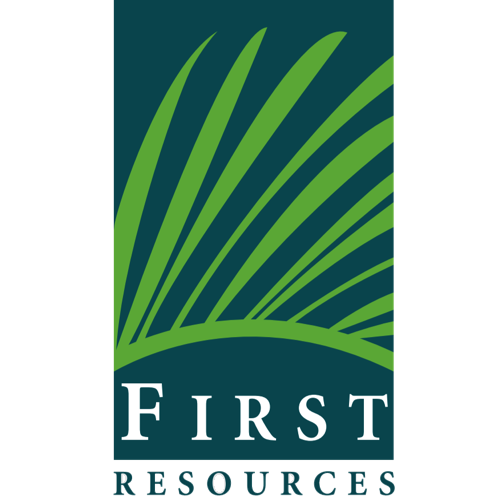 First Resources posted its third sequential quarter of double-digit y-o-y growth. 9M18 FFB nucleus output of 2.29m MT (+20% y-o-y) is 75% of our full-year forecast, on track to meet (but potentially exceed) our full-year forecast of 3.04m MT (+13% y-o-y) and in line with First Resources’ +15% y-o-y (group) guidance. Cost of production is under control. We estimate First Resources’ 9M18 all-in cost of production at USD280/t +1% y-o-y). For the last quarter, we expect potentially weaker q-o-q results on lower CPO ASP and lower output, but potentially mitigated by some inventory drawdown (which will help boost sales due to net inventory build-up of ~38,000 MT in 9M18 [9M17: drawdown of ~14,000 MT]) and still positive downstream margins. weaker competing oil prices (such as for soybean and rapeseed).